There's a lot of options for Twitter on Android, both in full apps and widgets. But the newest player may just be my new favorite. 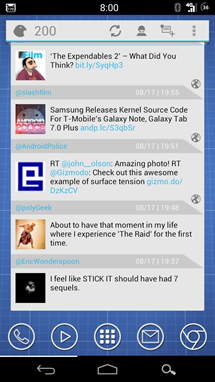 Falcon for Twitter, now in beta, combines the standard timeline view with enough options and settings to make the obsessive compulsive Android user ecstatic, while still fitting in with the Holo theme of ICS and Jelly Bean beautifully. The standard features include listing your mentions, retweets and private messages, and a quick and useful mobile view that opens links in a mini-browser without ever leaving your homescreen. This can be changed to open a standard Twitter app. The interface is the real draw here. 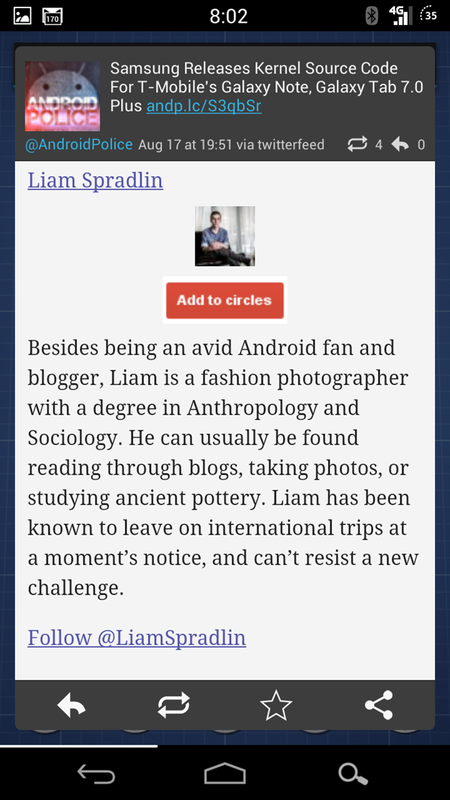 With three themes and two layouts, it's sure to fit in with whatever your UI or theme looks like. It's even optimized for Jelly Bean; the notifications expand just like the updated Gmail. 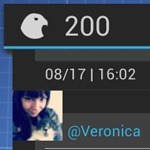 Developer Joaquim Vergès bills Falcon as a beta app, but it's already remarkably stable on my Galaxy Nexus. There's already been an update just a day after it was posted to the Google Play Store. Honestly, the only reason I'm keeping Plume around at this point is that it's still better than the official Facebook app. 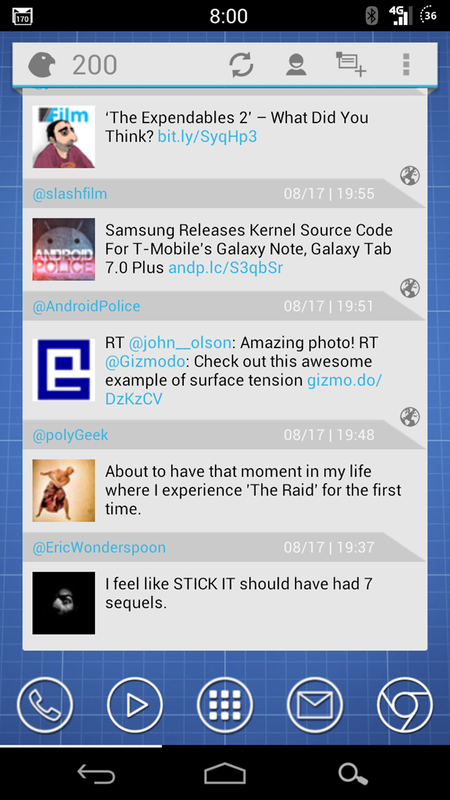 In its beta stage, Falcon for Twitter is free and without adds. That may change after some more development, but given the developer's previous apps, it shouldn't be more than a couple of bucks. 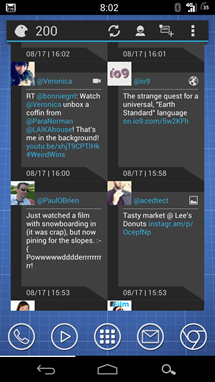 Of course, who knows how long this and other third-party Twitter apps will still be around.